Around my house anything Disney is always better! Plus we LOVE Halloween and Christmas here. With that being said I wanted to come up with a fun snack for my family. What did I come up with? 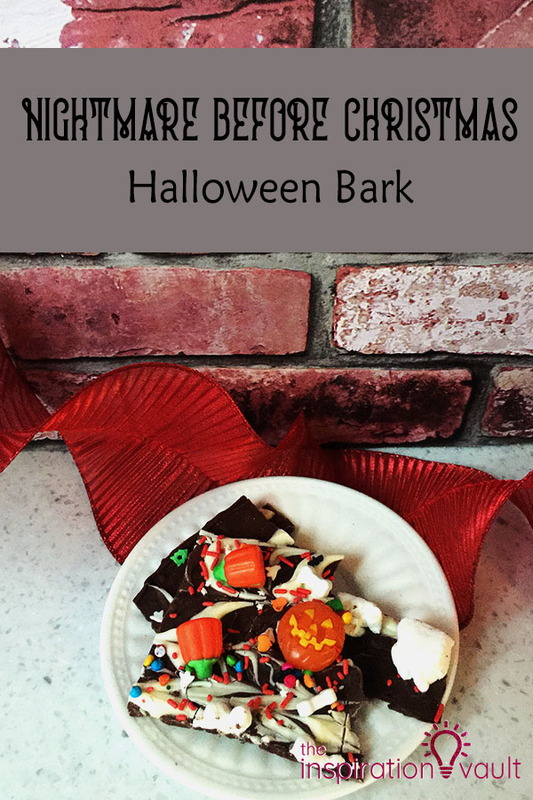 Nightmare Before Christmas Halloween Bark (this can also be made at Christmas too!) 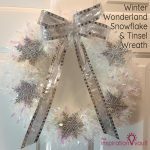 This was so easy to make and you can add as much or as little extras as you want. 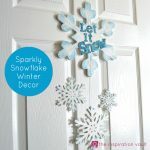 This post contains affiliate links, which means we receive compensation if you click on product or brand links and purchase anything. For more information, see our Disclosure Policy. 3. Pour milk chocolate onto baking sheet and smooth out. 4. Melt half of the white chocolate the same way as in step 2. 5. Drizzle melted white chocolate over still warm milk chocolate. 6. Use a toothpick or skewer and swirl in the white chocolate. 7. While chocolate is still warm, add your sprinkles and candies over the chocolate. 8. Put Pan in fridge until chocolate is hard. 9. Once chocolate has hardened remove from fridge and break into chunks. 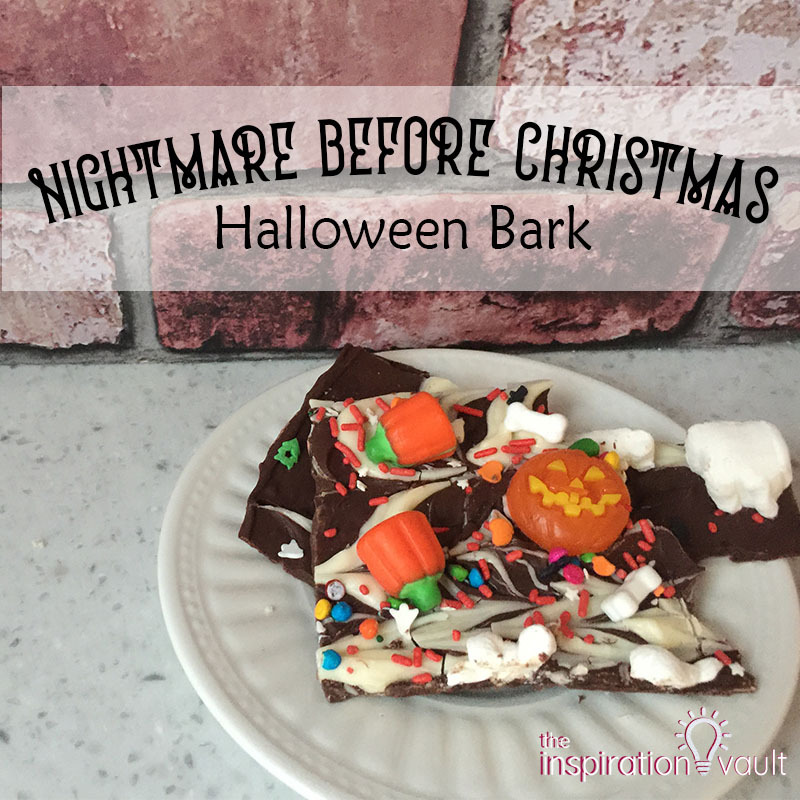 For this tutorial you can watch the quick video on how to make this Nightmare Before Christmas Halloween Bark. 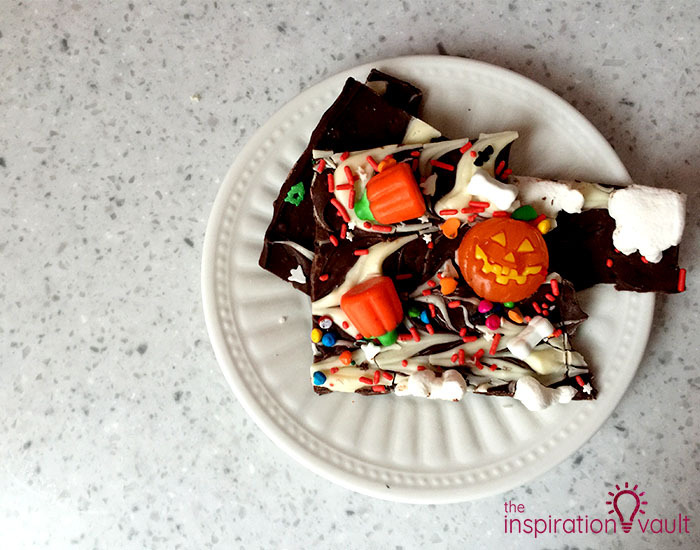 There are a lot of creative ways to incorporate Nightmare Before Christmas in this Halloween bark. 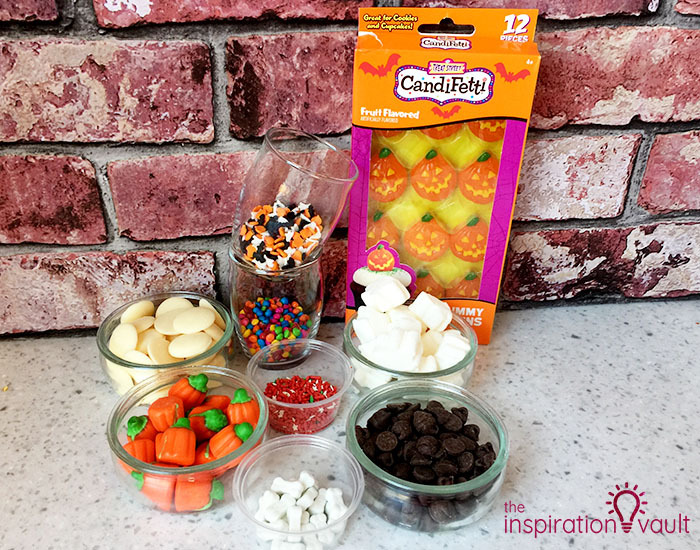 For example for the pumpkins I used Candi Fetti Halloween Pumpkins and snowflake marshmallows. 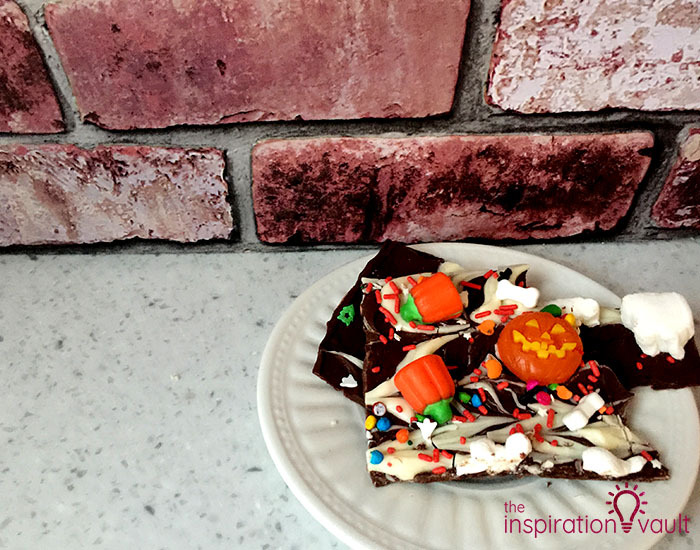 When I made my bark it was more for Christmas and had bought the Halloween sprinkles and candies when they were on clearance. 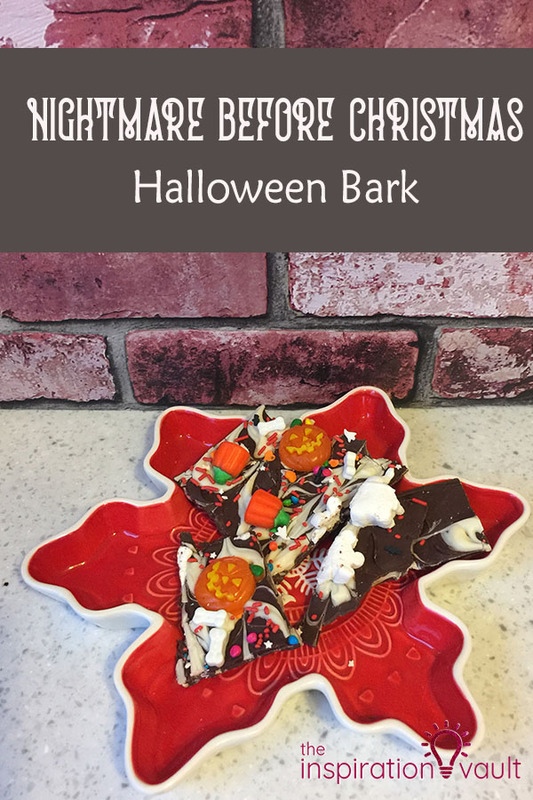 I would love to see how you make Nightmare Before Christmas Halloween Bark! Hello, I’m Aleisha. I have always been interested in the crafting world. Growing up I would often find myself in my grandma’s sewing room or in my mom’s craft room “helping” with whatever task they would give me. 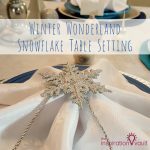 As an adult, my love for crafting turned into a degree in Event Planning, where entertaining and crafting collide. When I am not crafting or entertaining, I am spending as much time as I can get with my husband and two sons. I am also a complete Disney Junkie! I'm at my happiest when I'm creating and making projects. I've always been interested in the crafting world! 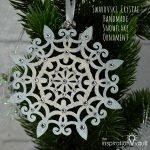 Site made with ♥ by Angie Makes © 2018 The Inspiration Vault, All rights reserved.